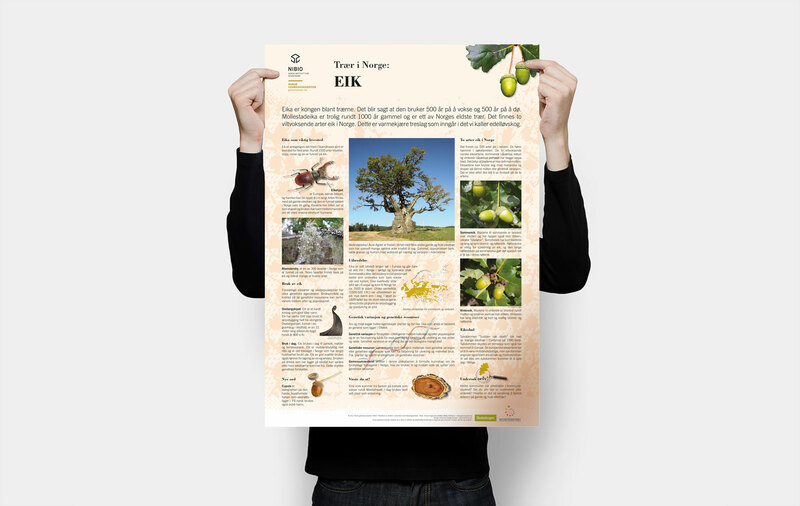 A series of 12 posters on the theme of "trees in norway" commissioned in cooperation with The Norwegian Institute of Bioeconomy Research (NIBIO) and National Center for Natural Sciences in Education. These posters represent all of Norway's forest trees, with one or more trees per poster. Oak, Wild Apple, Birch, Pine, Rowen, Beech, Hazel and Tilia, Aspen and Seal, Elm and Ask, Alder, Juniper, Yew and Holly. 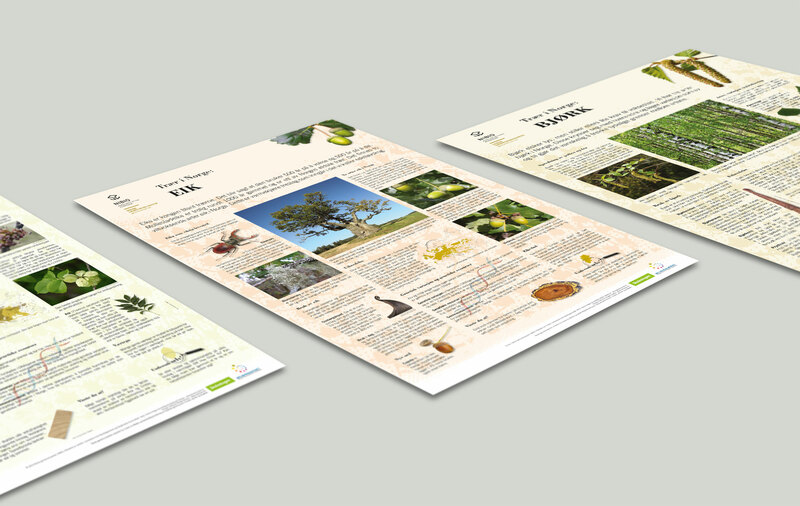 The posters cover everything from the trees' characteristics and propagation to past and present uses, illustrated with pictures. The definition of genetic resources and In addition, each poster focuses on individual themes that are specific to each tree.